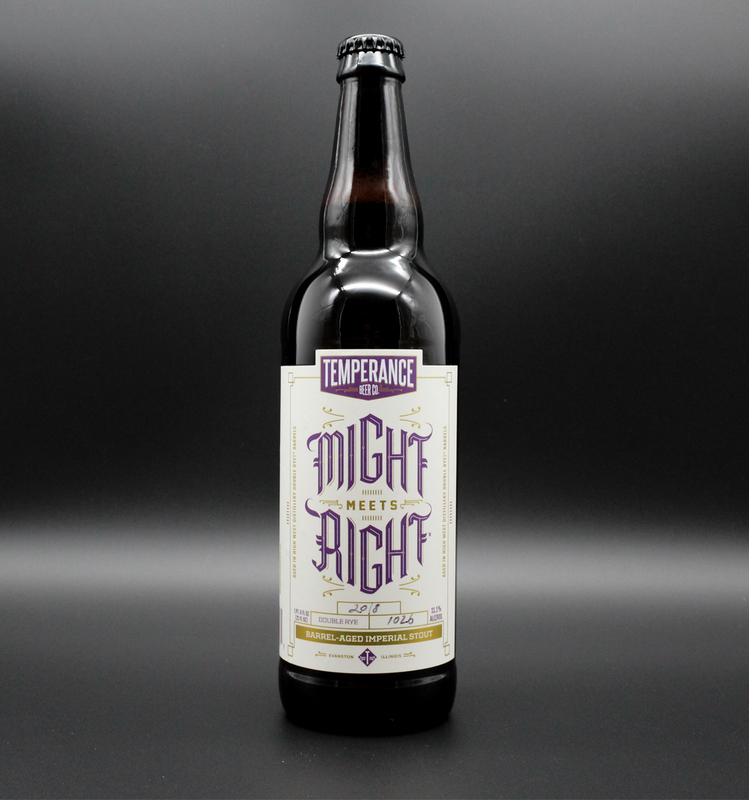 Temperance Beer Co. approached us with a fun challenge. 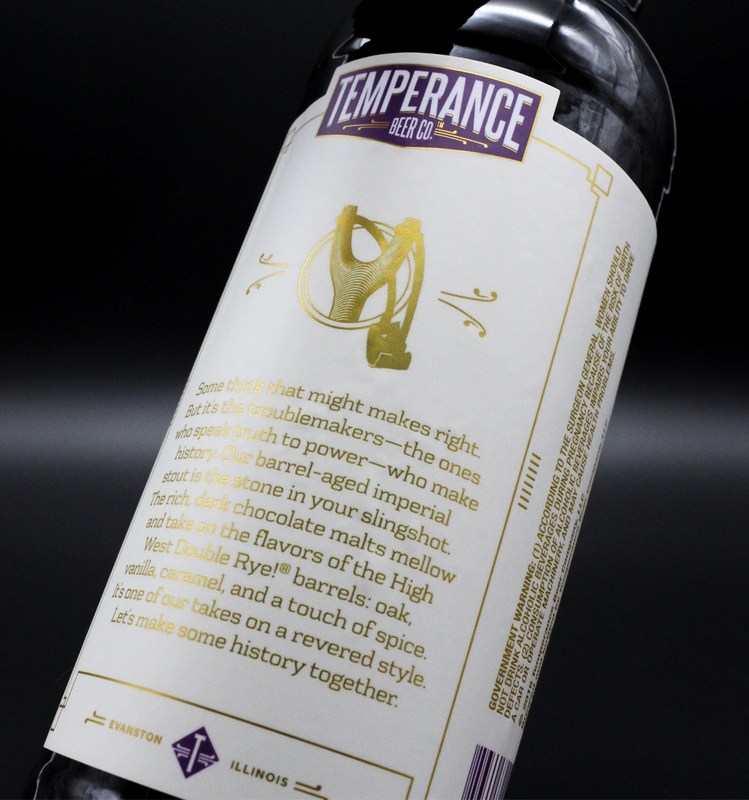 Create a beer label that is both daring and fun–to convey the idea of making history by being slightly mischievous. We achieved this by creating a bold lettering name followed by a touch of elegance. 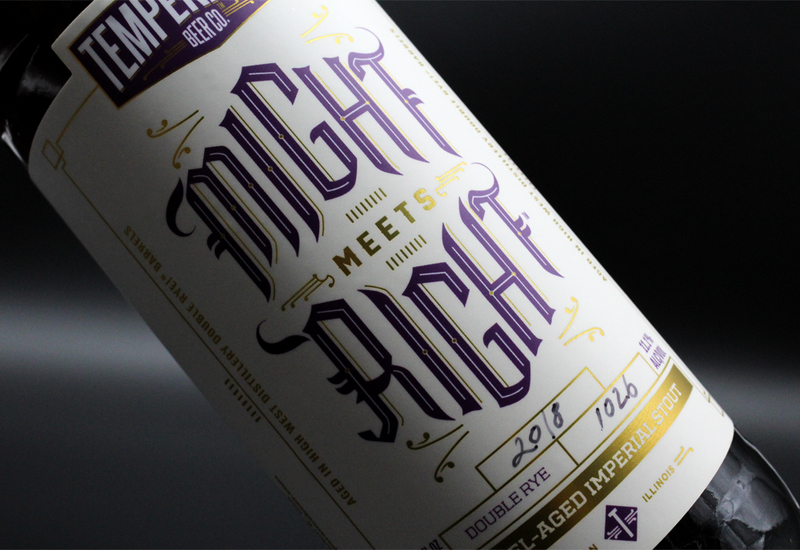 A combination that only resembles the dark malty and sweet taste of this incredible Imperial Stout. "Some think that might makes right. But it’s the troublemakers—the ones who speak truth to power—who make history. Our imperial stout is the stone in your slingshot. 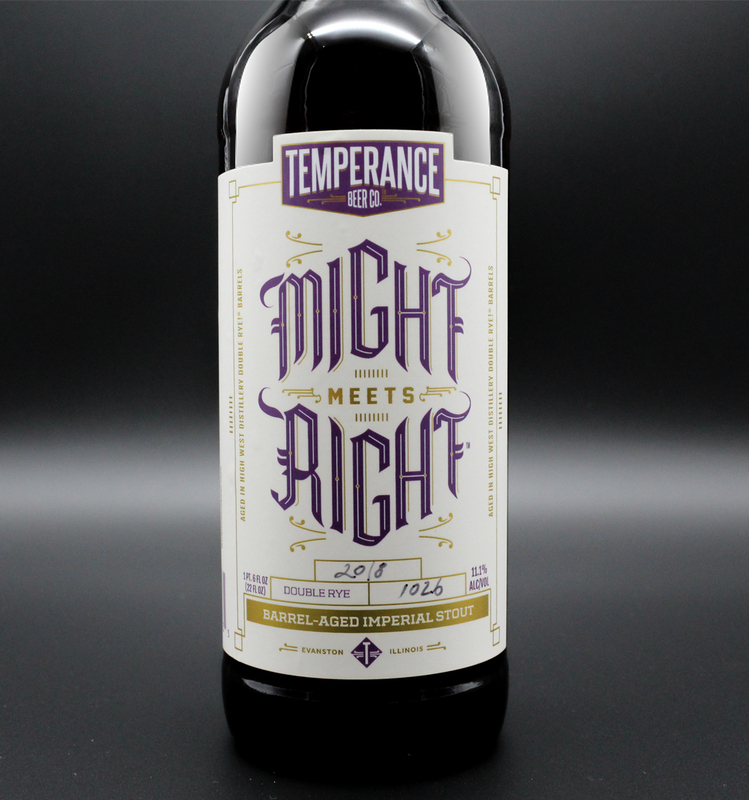 It’s our take on a powerful style, using a balance of dark rich malt, roast, and sweetness that makes this mighty beer just right. Let’s make some history together."